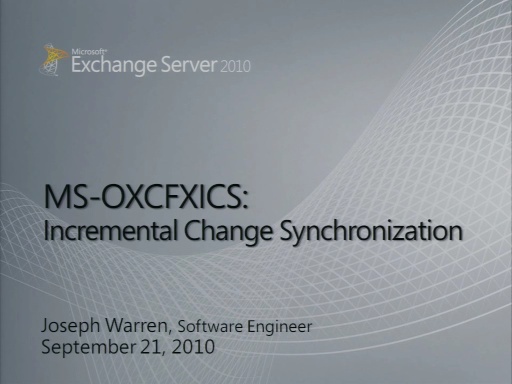 Joe Warren, Principal Software Development Engineer, explains the Bulk Data Transfer protocol, as specified in MS-OXCFXICS. 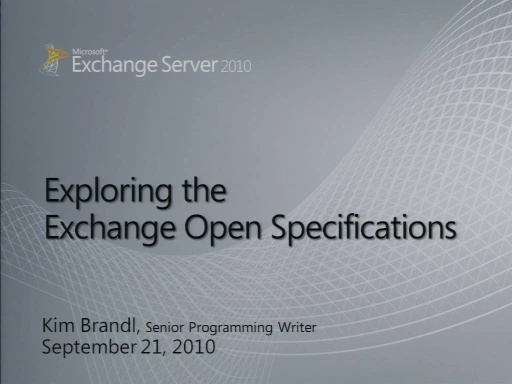 This talk includes information about creating source and destination contexts, understanding Fast Transfer streams, getting and putting Fast Transfer streams, handling Fast Transfer source copy operations, and a CopyMessages example. 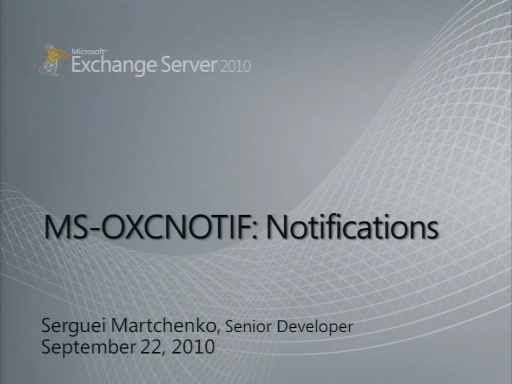 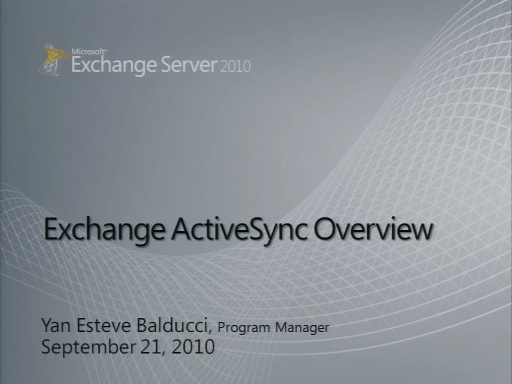 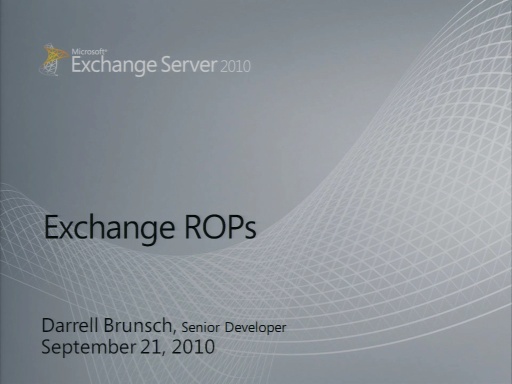 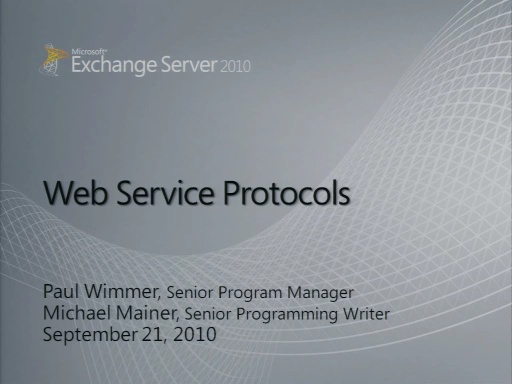 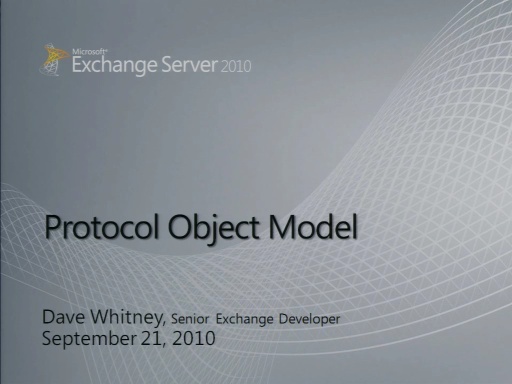 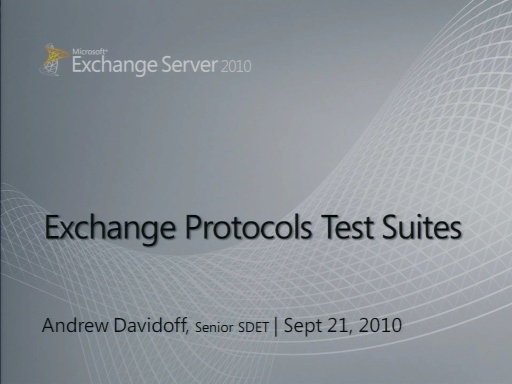 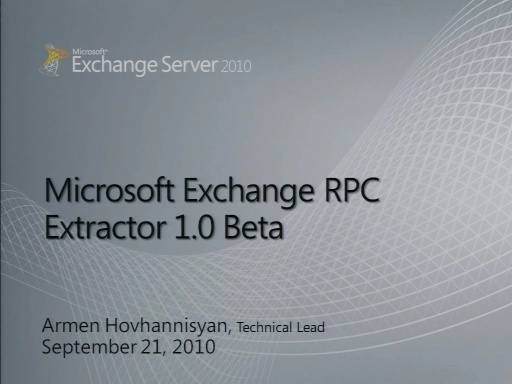 This talk was part of the 2010 Exchange Server Protocol Documents Overview Event. 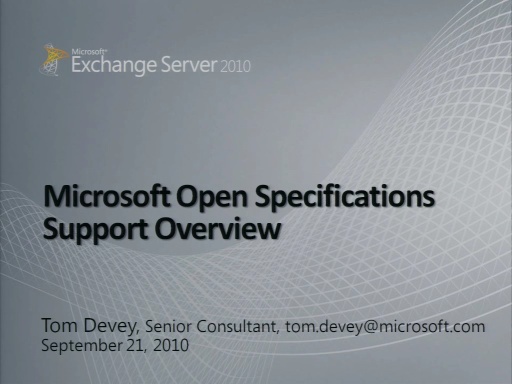 and is related to the Exchange Server Open Specifications Program, which includes documents that are available on MSDN.